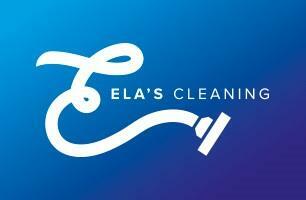 Ela's Cleaning and Ironing Services Ltd - Cleaning Services based in Croydon, Greater London. Invoice history based on 472 reviews. We never cut corners... we clean them! WELCOME to Ela’s Cleaning & Ironing Service Ltd. We provide domestic and commercial cleaning to all London postcodes within the M25 and also cover most of the UK (Please enquire with your postcode by either calling or emailing). Our professional cleaners are fully trained and fully insured to provide domestic cleaning, carpet cleaning, commercial cleaning and ironing services at very competitive prices. We are now also able to offer a professional oven cleaning service, for more information on this service please contact us on the numbers below. If you need a regular domestic cleaner, to look after your home, then we provide you with the very best. Our fully vetted cleaners are friendly, reliable, hardworking and will come in on a set day and time which is convenient for you. Ela’s Cleaning & Ironing Services Ltd. also offer commercial and office cleaning to all UK postcodes – We can design a suitable cleaning package to give your premises the professional cleaning it requires. We also offer commercial carpet cleaning services locally in the Croydon & Bromley areas. Our office cleaners can work at a time convenient to you. We work in the mornings and the evenings leaving your premises clean and tidy ready for your working day. Ela’s Cleaning has built up a strong working relationship with its clients; all our prices include full management and cost effective cleaning services aimed at making our clients lives easier. Our company aim is for 100% customer satisfaction, we encourage regular feedback and we are in constant communication with our regular clients. We are fast and cleaning and responsive to communication from clients. Feedback is very important for us to improve our service & your specific experience with our company....if you tell us your concerns, we will act fast to change and improve...... and we always do! We look forward to helping with your enquiry and to cleaning for you!